If you are wondering what the most popular winter destination in Greece is, then the answer is hands down Arachova! 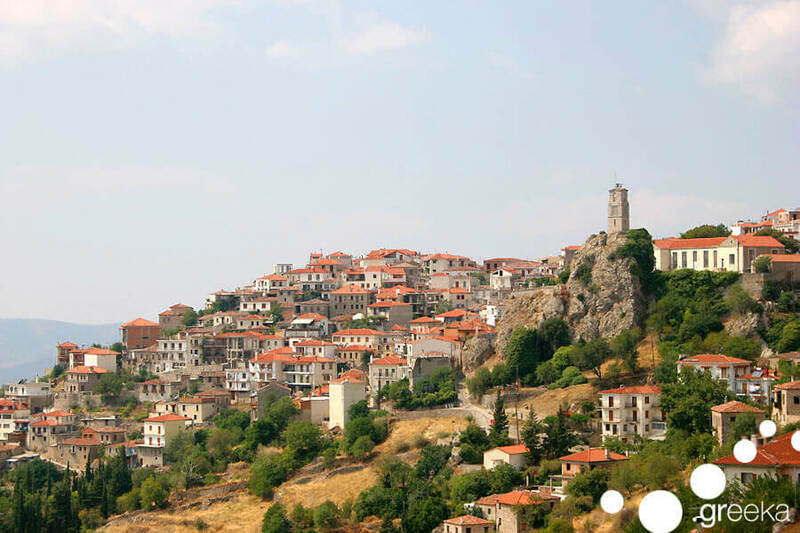 Being located on the mountain Parnassos, at 960 meters altitude, Arachova is a cute little town, full of stone made houses and little roads, that you will fall in love with. If you need some proof, then just keep reading. The little town of Arachova is as if it has just came out of a fairy tale! The stone made houses, the cute cafes and the smell of the fireplaces in the air will charm you. 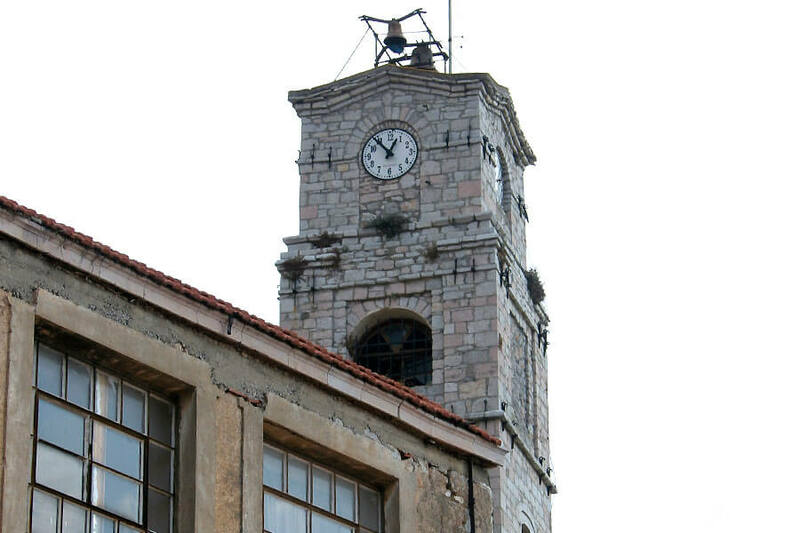 One of the famous sites of the little town is the huge clock, or as the locals like to call it the “Hour”, which was built during the 18th century. The clock was destroyed in 1870, but was rebuilt, based on it initial design. It is located on a cliff, right at the entrance of Arachova, to welcome the visitors and it is considered as the trademark of Arachova. Tip:Under the clock, you will find another trademark of Arachova, the beautiful stone made bridge, which is the starting point of the central road of the town. Arachova is famous for its local products, made with care and love by the local creators. Some of them are the delicious traditional cheese (formaela), the nut pies (karidata) and the local fried pancakes (tiganites). If you want to explore more yummy food, don’t miss to taste the various types of grilled meat, such as sausages, stake and lamp. Tip: For the cold winter days and nights there is nothing better than a warm soup and the local deep red wine. 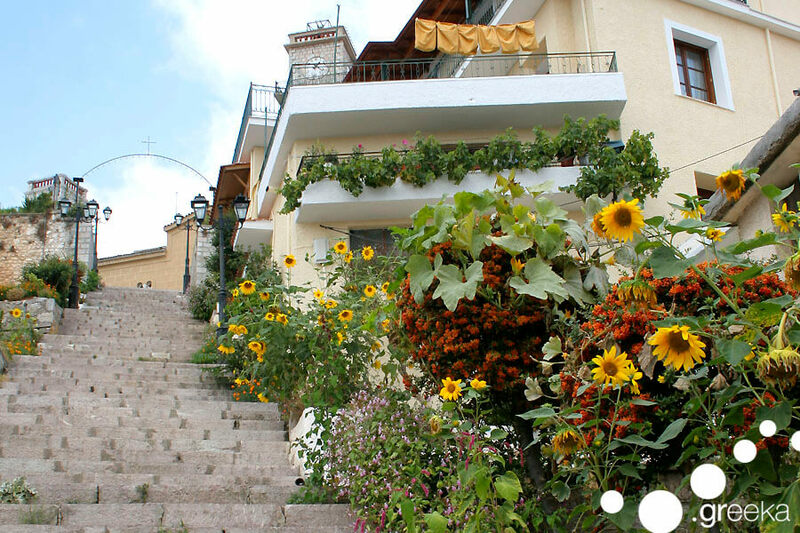 Being in Arachova is your perfect chance to visit the historical town of Delphi, as it is just 12 km away. Delphi was considered as the center of the world during the ancient times. There, you will find the world famous ancient oracle of Delph and the temple of Apollo, which are both really impressive, being located in the nature, surrounded by endless green. If you are a ski lover, or willing to try some winter sports, the ski center of Parnassos is the place to go! Every year, thousands of tourists visit the ski center of Parnassos to enjoy winter sports or simply lay under the warm sun. It consists of 19 ski slopes and 3 smaller ski slopes for beginners, so don’t worry if you are not an experienced skier. Can you already imagine yourself in Arachova, having the best time? Don’t postpone your trip! Book it NOW!